La Romance Over 2,000 Questions about the Most Beautiful Love Story Yours! | Free eBooks Download - EBOOKEE! La Romance Over 2,000 Questions about the Most Beautiful Love Story Yours! 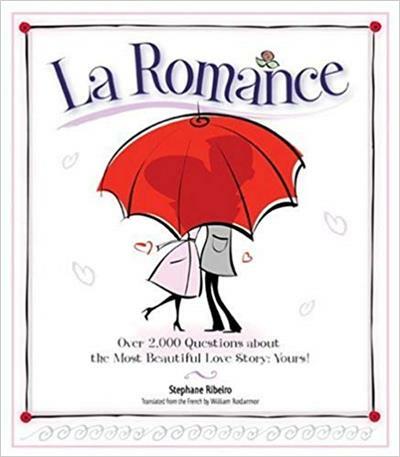 Stephane Ribeiro, William Rodarmor, "La Romance: Over 2,000 Questions about the Most Beautiful Love Story: Yours!" interesting questions is romance with the unmistakably bold flair of the masters of the art of love. 273. Were either one of you afraid to fall in love, yes or no? 381. What are the three things that most made you fall in love with each other? -go and live in the country? -allow them a mistress or other lover? No comments for "La Romance Over 2,000 Questions about the Most Beautiful Love Story Yours! ".